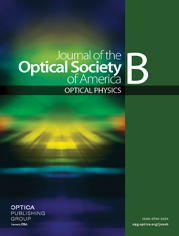 The first-ionization potentials of niobium, Nb i, and molybdenum, Mo i, have been determined with significantly improved accuracy as 54 513.8(3) and 57 204.3(3) cm−1, respectively, by double-resonance, field-ionization spectroscopy performed on atomic beams produced by laser vaporization. The new values permit critical assessment of ionization potentials determined by other techniques and question the generality of theories predicting the behavior of s-electron binding energies for transition series elements. b Best value for the niobium IP. a Figures in italics indicate differences from the reliable spectroscopic values. b This work and Ref. 1.
e Refs. 3 and 4.